Design Your Own DOG COLLAR Kit for your favorite furry friend. 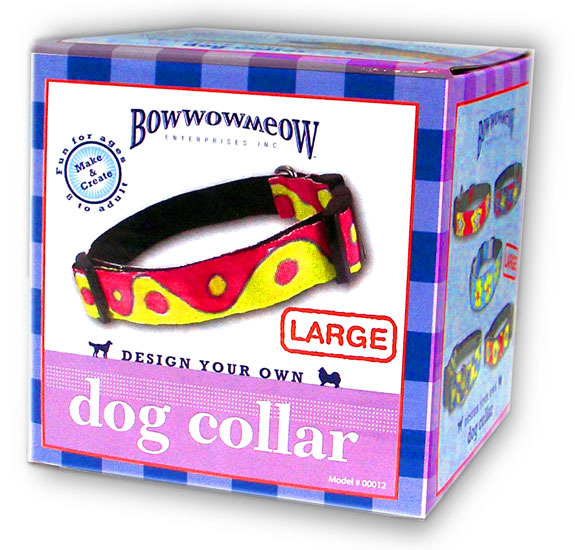 It’s really fun & easy to create a one-of-a-kind Collar for your one-of-a kind companion. 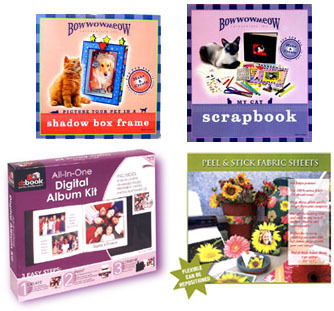 Makes Great GIFTS, too!!! 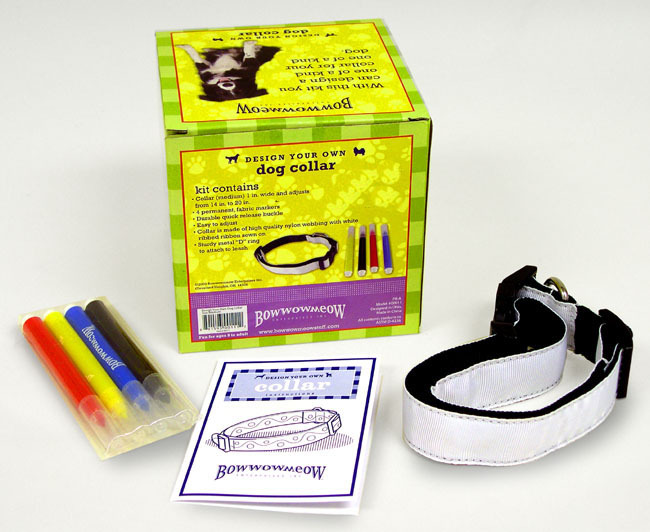 Dog Collar Kit Includes 4 Colorful Permanent Fabric Markers So That You Can Make A One-Of-A-Kind Collar & Leash for Your Beloved Dog! German Sheppard or Great Dane. Adjusts from 18" to 26"